Woven Fiberglass Tape is ideal for selective reinforcement of fiberglass laminates, sleeve or pipe winding, seams, and molding. These tapes are referred to as tapes only for their width and appearance—they are not adhesive backed. Their finished edges offer easier handling and a clean, finished appearance, and keep the tape from unraveling. Tapes are matched to our #243 and #245 fabrics (7-1⁄2–10 ounce fabrics). Their plain weave construction builds in uniform strength in both horizontal and vertical directions. Tapes are meant to be used with a resin, they saturate easily, and are compatible with epoxy, polyester, and vinyl ester. 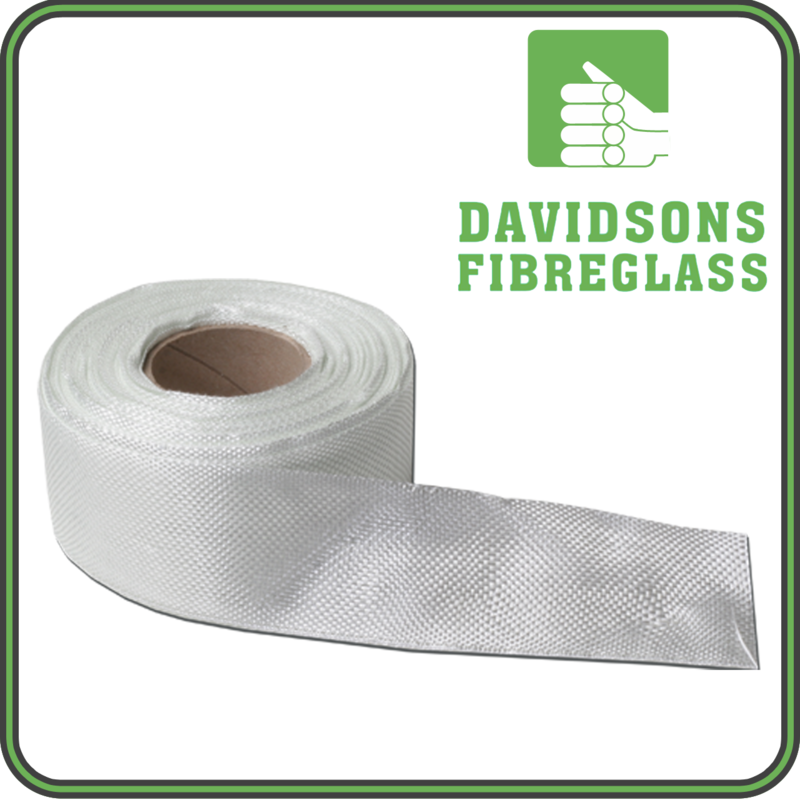 With the Fibre Glast First Quality commitment, you can expect the same finish, sizing, and handling characteristics every time you order this tape. Typical full roll length is 50 yards.